Texas isn’t unfamiliar with folk-based, singer-songwriter music. In some ways, it’s a distant cousin to country. The folk duo Indigo Girls rocked a set at the Tobin Center last night that showed just how powerful that brand of music can be. But unlike modern country, it wasn't about how big and slick their band was. 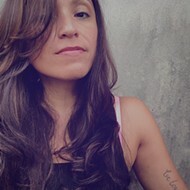 The power relied on the authenticity of the stories told in the songs and the perfect chord progressions that accompanied them. Adding to the power, the Indigo Girls are identifying members of the LGBTQ community and one of the genre's strongest voices to share that perspective during the AIDS epidemic. Their music would ultimately help erase some of the stigma surrounding gay people, which makes the duo leaders not only for their stellar songwriting but for their political stance and push towards equality. Opening the Indigo Girls' Tobin performance was San Antonio-bred singer-songwriter Terri Hendrix, paired with Texas-based country producer and guitarist Lloyd Maines. The two traded harmonica solos and ripping guitar licks to create a charming Americana vibe that captivated the audience through their 45-minute set. After Hendrix and Maines left the stage, the lights dimmed and the Tobin Center rumbled in anticipation of seeing the “Closer to Fine” singers. Bursting into their set with “Hammer and a Nail” from their second album Nomads Indians Saints, the headliners immediately drew in the crowd. The audience, primarily folks in their 40s and 50s, sang along with the tunes, some written more than 30 years ago. “It feels good to have done this for so long and not feel like we’ve had to pay our dues,” said Amy Ray, who usually carries the Indigo Girls' alto harmonies. Ray explained that sleeping on floors in the beginning of their career wasn’t really an issue since they were living out their dreams. “This next song is a traveling song from that era,” she added, before launching into “Land of Cannan” from the pair's self-titled debut. The Indigo Girls jumped back and forth through their catalog, also performing songs from a forthcoming album due next year and one from the solo record of Emily Saliers, the duo's other half. With only the sparse accompaniment of violinist Lyris Hung and Hendrix and Maines, who occasionally returned to the stage as backing musicians, the Indigo Girls last night showed how well-written songs don’t really need added ingredients to be powerful. 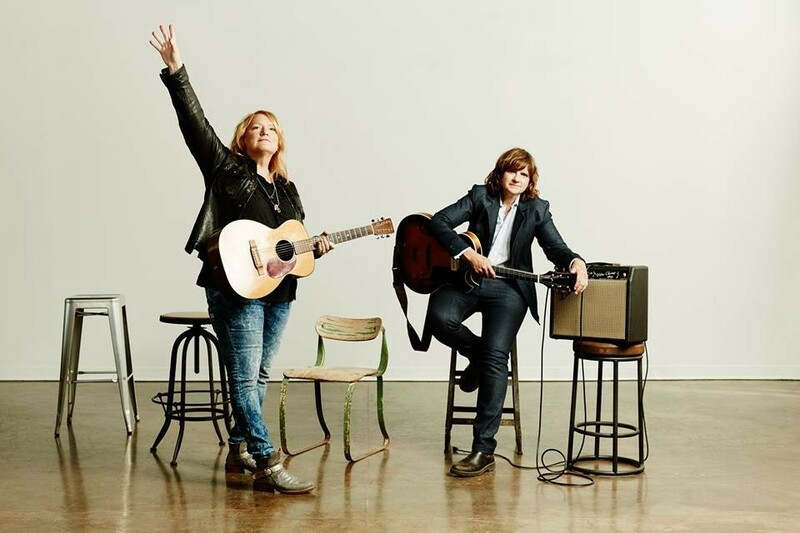 After over 30 years of writing and performing music, the Indigo Girls continue to be leaders in the folk world, not only for their masterfully-crafted songs but their important perspective as identifying members of the LGBTQ community.